2017 Karachi Traffic Police Made Helmet Wearing Compulsory Update: According to the last available figure published by Karachi City Traffic police, average five road accidents happen in Karachi every day. Keep in mind this figure is comprised of accidents reported to Karachi City Traffic Police. There are countless more accidents that go unnoticed. 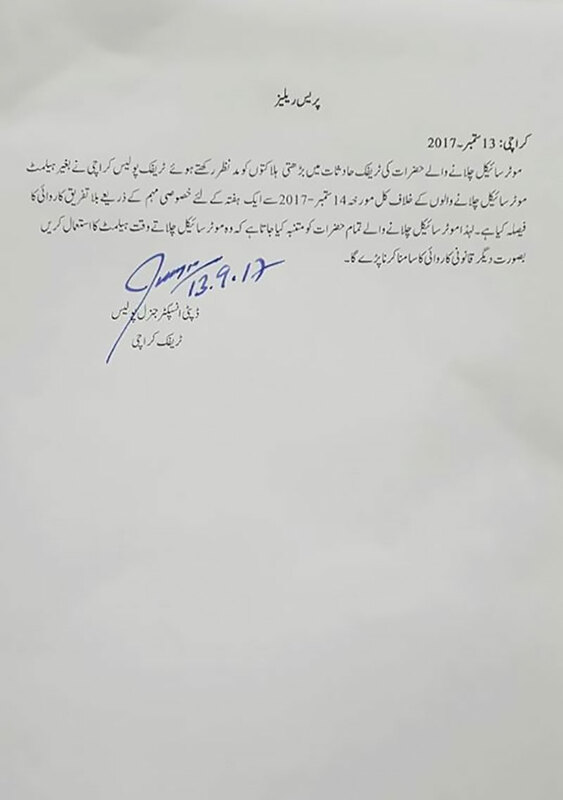 2017 Karachi Traffic Police Made Helmet Wearing Compulsory. 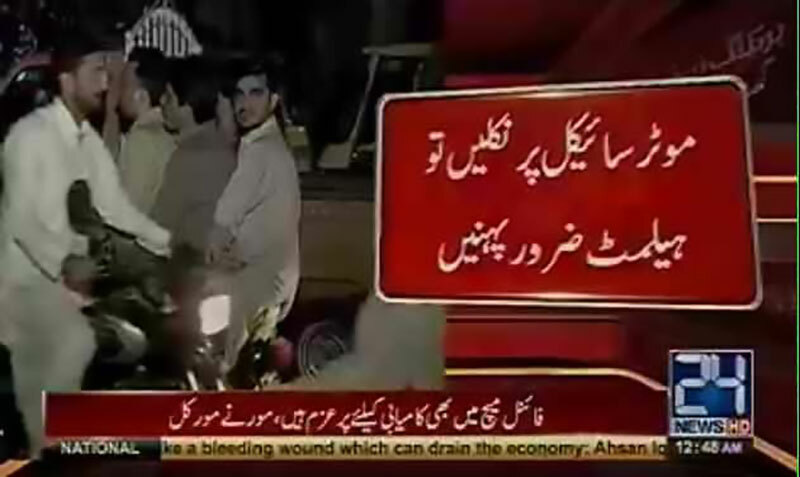 And among those accidents, motorcycle riders are the most vulnerable. 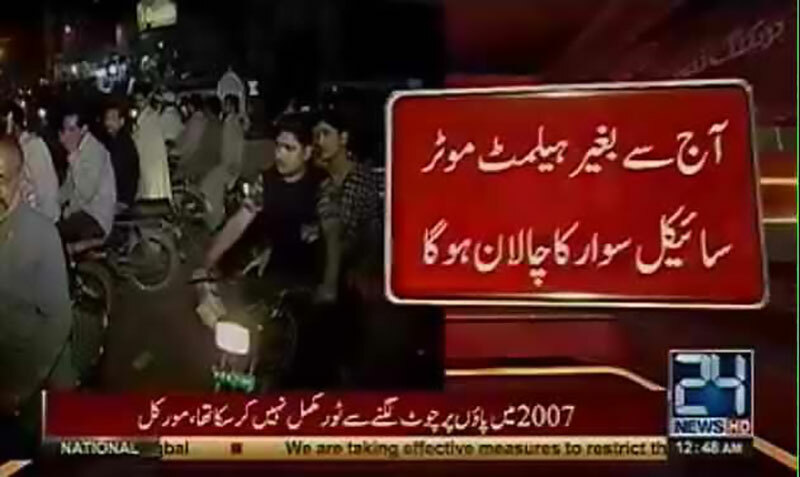 Considering the lack of cheap and readily available public transport situation in most major metropoles of Pakistan, it was only logical for the majority of Pakistani citizens to opt for motorcycles as their daily-driver. 2017 Karachi Traffic Police Made Helmet Wearing Compulsory the dawn of cheap Chinese 70cc bikes made it possible for a whole lot of people to own their own ride. 2017 Karachi Traffic Police Made Helmet Wearing Compulsory but owning a motorcycle comes with a responsibility. The bike is an inherently dangerous ride. You are exposed from everywhere; from nature, to other vehicles, to pedestrians. There is nothing to protect you when you are riding a bike; except maybe your helmet. 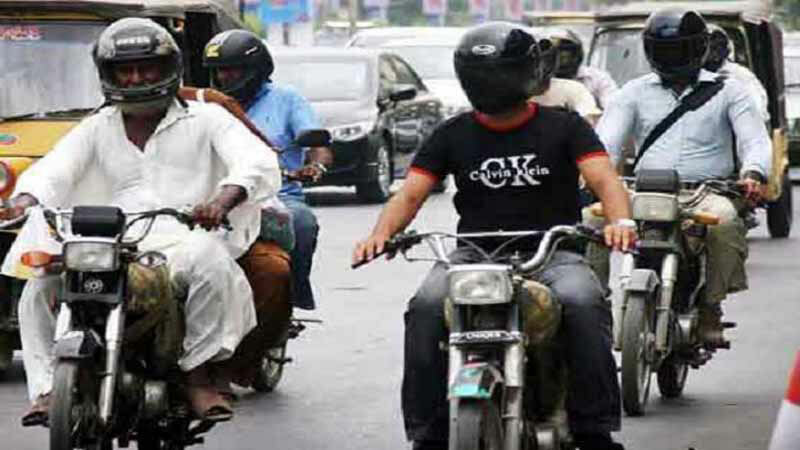 In order to curb the deaths of motorcyclists in the Karachi City area, the Deputy Inspector General Traffic Police of Karachi has issued a strict order to stop and fine all riders who are not wearing helmets. Traffic wardens are instructed to strictly instructed to stop and fine such riders, in order to encourage them to start wearing the helmets. The safety campaign will start from today, the 14th of September, and will run for a week. The instructed to commence the operation without taking any sort of pressure from anyone. 2017 Karachi Traffic Police Made Helmet Wearing Compulsory. The Karachi City Traffic Police has issued a press release yesterday in this regard as well. Safety of the people of a country is of utmost importance. Where the step towards the improvement of the bike riders’ safety should be appreciated, one must ask, why the delay up until now. Such things should have been kept in check from the beginning.